Despite strong advocates of freedom of expression, sedition – an archaic law of colonial vintage – remains a tool to orchestrate political witch-hunt of dissenting voices. Over the last three years, the so-called ‘JNU row’ has served to expose the brittle state of several of a democracy’s supposed columns. Be it the media, the executive or even our constitutionally guaranteed rights, they have all been subject to abuse by the forces of unreason. Carefully timed just 90 days before the general elections, the submission of the chargesheet against Kanhaiya Kumar and others in a sedition case lodged in 2016 has given one more window to heighten the decibels in the newsrooms. It is not surprising thereby that while several of the media houses were handed copies of the chargesheet even before the accused have had any luck in receiving it, the police, in fact, conveniently “forgot” to take the requisite sanctions that are mandatory in a sedition case. In spite and despite the media trial, we are convinced of the innocence of each and everyone being named in the chargesheet. We will contest it in court and are confident that the truth will prevail. But before all that unfolds, let us take a step back to reflect upon some of the general and fundamental tenets at stake today. One of the key questions much debated since the outset around this case has been the question of freedom of expression, a right guaranteed by Article 19A of the constitution to every citizen. While most claim to “uphold” this right, the noise tends to build around the question of limits to it. Before getting to restrictions, let us speak of “reason” per se. Literally, it means the capacity of the mind to think, understand and form judgements logically. And as a value, it stormed the foundations of our political and philosophical realm by the 19th century imbued with the ideas of liberty, equality and fraternity. But in no time, the same idea of reason was turned on its head at the altar of power whereby any idea that challenged the new order was deemed as “unreason” and was subject to newer forms of persecution and restrictions. Only that they were termed “reasonable restrictions”. These contradictions and dilemmas left their imprint even in the Constituent Assembly debates at the infancy of our republic steered as it was by Dr Ambedkar. Most members, in fact, highlighted the importance of the fundamental rights and opined that such rights form the “very life of civil liberty”. But simultaneously, they also opined that these rights should not be absolute. Restrictions ought to be placed upon them, whenever necessary. On the face of it, one may agree to such apprehensions if one were to take into account the possibility of expressions leading to violence against say a particular minority. However, genuine apprehensions were voiced about how reasonably would the “reasonable restrictions” be put in effect. One of these voices was that of professor K.T. Shah, a socialist leader and a representative to the Constituent Assembly from Bihar. It was he who had made several abortive attempts to include the words “secular” and “socialist” in the constitution that materialised only decades later. He also advocated for a direct referendum to democratically settle all boundary disputes at the very infancy of the republic. As a strong advocate of the freedom of expression, Shah was sceptical of the limits imposed in the name of “public order and morality”. He pointed out how the term morality is highly vague and its connotation changes from over time, and how in its guise basic freedoms have been denied in several countries. The words above remain as relevant today, if not more. Despite reasoned critique, sedition, an archaic law of colonial vintage still remains a tool to orchestrate political witch-hunt of dissenting voices. However, much in sync with Lahiri’s opinion, the Supreme Court in multiple judgments has sought to define the reasonableness of restrictions by stating unequivocally that allegedly seditious speech may be punished only if the speech is an “incitement” to the mobs and results in “imminent” violent action. It has been foregrounded repeatedly that ultimately it is the rights, which are fundamental, and not the limitations – and that the reasonability of a restriction has to be determined in an objective manner. 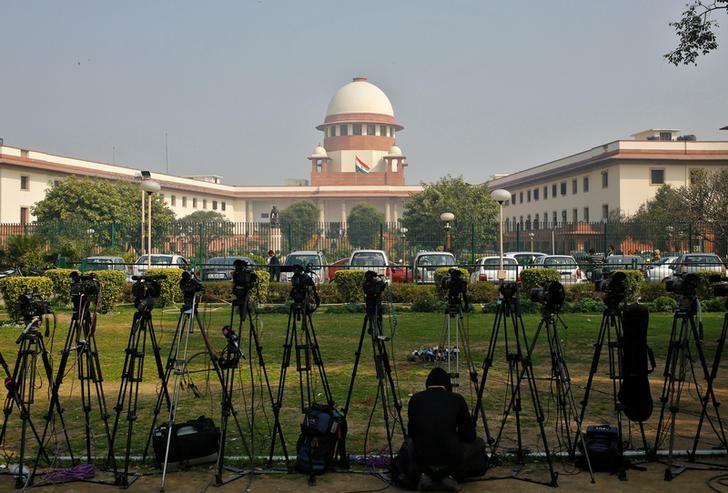 The Supreme Court even warned the judges against bringing their own personal predilections in ascertaining the same. In practice, however, over the decades, and more so under authoritarian regimes, unreasonable restrictions have been imposed on dissenting voices. While on the other hand, there have been numerous instances wherein inciteful speeches by Hindutva outfits have been glossed over despite them leading to overt instances of violence. The Liberhan and Srikrishna Committee reports, for instance, bear testimony to the above. Only that they have gathered dust. Who is being “reasonable” today? Now, if we return to the present, under the current regime we are witness to some of the worst specimens of such double standards. 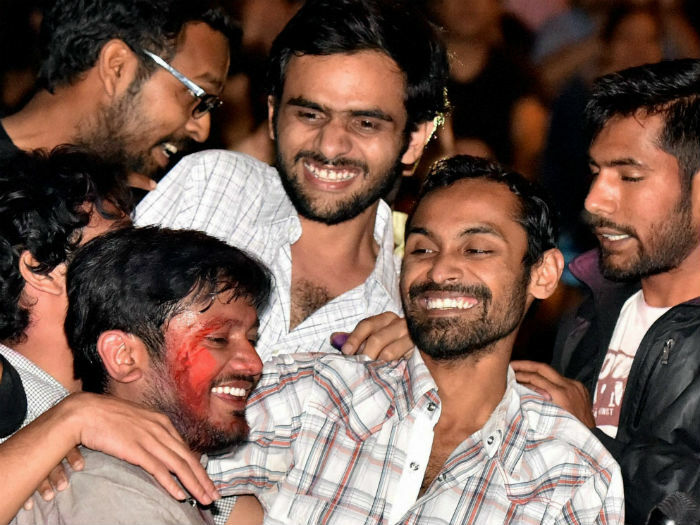 While students, intellectuals and rights activists have been branded or jailed in the name of “national security”, “sedition” or “reasonable restrictions”, there are those who may operate with no restrictions, none whatsoever. The home minister of the country can thereby link the students in JNU with Hafiz Saeed based on a fake Twitter handle without ever retracting or apologising for the same. News agencies can cook up lies about a student, namely Umar Khalid, having visited Pakistan and so on, and still not be held accountable. Goons in the attire of lawyers can in broad daylight assault Kanhaiya Kumar in court premises and yet roam free. News anchors with their venomous cocktail of jingoism and bigotry in the name of nationalism can in effect encourage gun-yielding goons to attack Umar Khalid. Kashmiri students in campuses across the country can be attacked, harassed and branded as “terrorists” by jingoists boosted by the hatemongers in TV studios. Saffron goons in the name of gau raksha can lynch and kill Muslims and, in turn, be felicitated by the members of the ruling party. Dalit groups can be attacked with impunity in Bhima Koregaon by saffron outfits. And in turn, democratic rights activists of the likes of Anand Teltumbde, Sudha Bharadwaj or Vernon Gonsalves can be witch-hunted with fiction. Sanatan Sanstha can boastfully strike off names from their online “hit list” after “unidentified gunmen” eliminate the likes of Gauri Lankesh or Dhabolkar. Hundreds of Adivasis involved in the Pathalgadi movement demanding their constitutionally guaranteed rights can en masse be booked under sedition. The list can go on. In effect, what they demonstrate is that there isn’t an iota of “reasonable restriction” that applies on these forces of unreason and hate. Hence it is not surprising when we hear the national president of the ruling party openly sermonising his party workers: “Hum jo chaahey wo Sandesh janta tak pahucha sakte hain, chaahe khatta ho ya meetha, saccha ho ya jhootha”. Ultimately, as Erich Fromm said, what the majority of people consider to be ‘reasonable’ is that about which there is agreement, if not among all, at least among a substantial majority. “Reasonable” for most people, has nothing to do with reason, but with consensus. And it is easiest to manufacture a consensus around the dominant status quo. After all, that is what the paid pipers in the news studios are expected to deliver, consensus. The more glaring the inequality in the society and the wider the gap between the richest few and the exploited millions, the more is the need to manufacture a consensus against an “evil other”. At times in the name of “terrorism”, or at times with the invention of the “anti-national” or the “urban Naxal”. As long as reason would be sacrificed at the altar of majoritarianism and blind jingoism, as long as we fail to question power, we would be far from the democracy that is truly democratic. 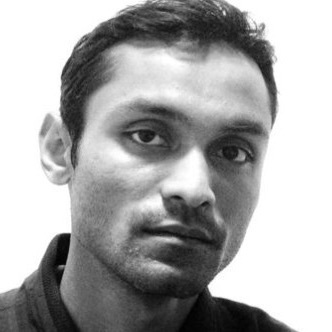 Anirban Bhhatacharya is a former JNU research scholar.